The Richard Childress Racing XFINITY Series camp showed its strength in 2015 with multiple trips to victory lane and impressive stats with a young rookie behind the wheel. When the checkered flag flew at Homestead-Miami Speedway, RCR accumulated five victories, 47 top five and 81 top-10 finishes. Here’s a look back at moments in the 2015 XFINITY Series season. The 2015 XFINITY Series Championship battle came down to the final race at Homestead-Miami Speedway. Dillon and three other competitors lined up all eligible for the inaugural XFINITY Series championship. Dillon ultimately finished the race seventh and locked the No. 3 team to a third-place finish in the XFINITY Series driver championship standings. The final stat line for Dillon included 12 top-five finishes (a career-high), 25 top-10 finishes, an average start of 10.2 and finish of 8.7. Austin Dillon proved dominant at Charlotte Motor Speedway by not only capturing pole awards for both XFINITY Series races this season but by also grabbing the checkered flag as well to sweep the season at his hometown track. In the two races, Dillon led for 224 laps of the total 400 contested. Dillon’s victory in May was his first win at his home track in any of the top three NASCAR touring divisions. Every athlete dreams of winning in front of their hometown crowd with family and friends on hand to celebrate the moment. This past August, Paul Menard’s dream came true by winning at his home track, Road America. Growing up in Eau Claire, Wisconsin, Menard spent a lot of time at the 4.048-mile road course located in nearby Elkhart Lake. To Menard, a win at this track would rival that of a Daytona 500 victory. Brandon Jones ran a limited XFINITY Series schedule with RCR in 2015, making his debut at Iowa Speedway in May. The 18 year-old driver had quite a strong showing, leading both practice sessions, qualifying fifth and finishing eighth. 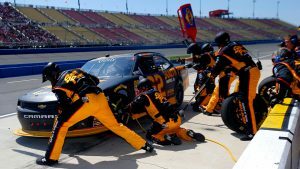 Jones competed in four additional races with RCR, running again at Iowa Speedway (August) in addition to Mid-Ohio Sports Car Course, Bristol Motor Speedway and Kentucky Speedway. 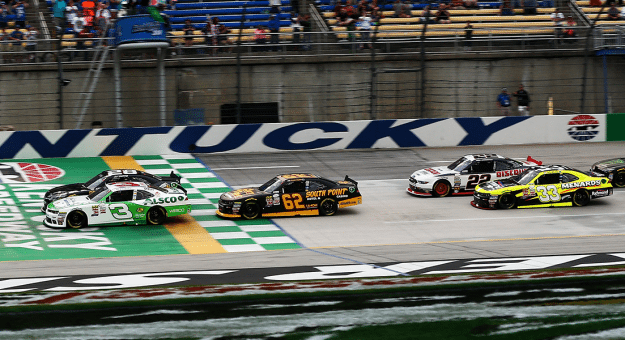 Jones culminated his five-race run with a fifth-place finish at Kentucky Speedway after he led for a total of 16 laps. Jones will return next season as a full-time XFINITY Series competitor in the No. 33 car. For the second season in a row, Brian Scott and the No. 2 team held the highest average starting position among NASCAR XFINITY Series full-time regulars. With an average starting position of 6.7, Scott collected 18 top-five starts with 10 inside the top three. The team also qualified into the final round 29 out of 33 races during the 2015 season. Brenan Gaughan and the No. 62 team flexed their muscle in the fifth race of the 2015 season. Gaughan raced in the top-15 for a majority of the day, but the momentum ultimately came from the last pit stop for the No. 62 South Point team. On the final restart, the 39-year-old-driver restarted just inside the top-10 and battled his way to the second position where he raced to catch the leader for the remainder of the race. The second-place finish gave Gaughan and the No. 62 crew their first top five and third top-10 finish of 2015.